Valentine’s Day can be a very expensive holiday. People shell out quite a bit of money to buy flowers, cards, and other little trinkets to show their loved ones that they care. But love isn’t about money, or at least it shouldn’t be. Meaningful acts of love don’t have to cost a thing and they have more significance to the people who love you. 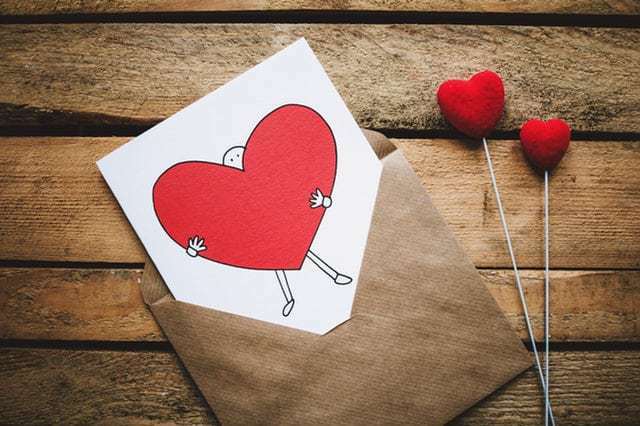 With a little mindful pre-planning showing love on a budget can forgo gifts and still have a meaningful Valentine’s Day. Rule #1: Before planning your Valentine’s Day gift it’s important that you and your partner are on the same page. Hurt feelings will arise if you give your partner a surprise act of love when they were expecting a traditional store-bought gift. So, talk to your partner first. If you both forgo traditional gifts it will make the holiday even more special. Rule #2: Once you’ve both agreed to give acts of love this year, you can decide on the scale of the gift. If one partner spends an entire weekend working on their gift and the other person spends 30 minutes, there will be trouble in paradise. To keep things fair decide on the parameters of the gift. For instance, should it be a trinket or a grand gesture? Rule #3: Lastly, be sure to tell your partner about any gifts you don’t want to receive. For instance, if your partner finally cleans out the garage after you’ve asked repeatedly, that’s great—but it’s not a great Valentine’s Day gift. Coming up with a short list of “gift don’ts” will help prevent any resentment on Valentine’s Day. Not sure what mindful gift to create or what romantic gesture to plan? You can show your love through your actions, your thoughtfulness, and your compassion. Listed below are two ideas to help you get started on your new Valentine’s Day tradition. Remind your partner of all the romantic highlights of your relationship by creating a personalized time capsule. Fill a decorated shoe box or scrapbook with mementos (pictures, souvenirs, etc.) from important moments in your relationship like first dates, romantic getaways, and anniversaries. Also, be sure to include things from smaller, unexpected moments. Include inside jokes and thoughtful references to make it personal. If you’re short on mementos but have tons of video recordings, consider making your own time capsule movie. Put together all the clips. Add music and any pictures that you have. You can even record a message to your valentine and add it in. It’ll be a heart-warming gift that they’ll want to watch over and over again. If your Valentine loves to read consider giving them a book. But not just any book! Buy them a classic, romantic novel or a book of romantic poetry from a used bookstore and then fill it with love. Write a love note on the inside cover. Highlight passages that remind you of your Valentine. And make sweet notations in the margins. For instance, when the hero/heroine of the novel describes their feelings for their lover, write how you felt when your first met your partner. You’ll create a sweet, loving gift that your Valentine will always cherish.